Седмица после Духова је трапава седмица, и не пости се у среду и петак. We do not fast week after Pentecost. Позивамо вас на представу "Професионалац" Душана Ковачевића у петак, 1.јуна, 2018., у 19ч у сали Храма Светог Саве у Кембриџу (41 Alewife Brook Parkway, Cambridge MA). 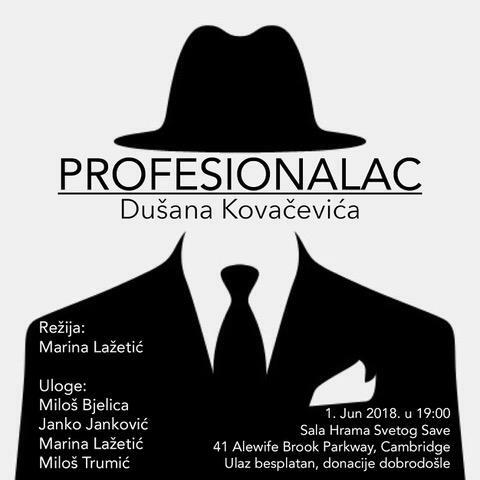 Улоге тумаче: Милош Бјелица, Јанко Јанковић, Марина Лажетић и Милош Трумић. Улаз је слободан, добровољни прилози су добродошли. Сав приход од прилога биће употребљен за помоћ овим младим уметницима. Надамо се да ћете доћи да заједно уживамо у овој представи. У недељу, 10.јуна , позивамо вас на Свету Литургију у 9 часова. После недељног ручка вас позивамо на годишњу приредбу ђака Недељне школе поводом завршетка школске године, са почетком у 12 часова . 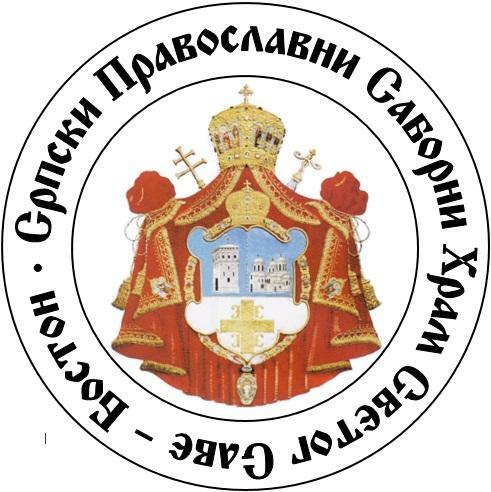 Надамо се да ћете нам се придружити у што већем броју да подржимо наше најмлађе парохијане и да заједно прославимо њихов успех. Све честитке нашим ђацима, родитељима и учитељима на још једној успешној школској години. 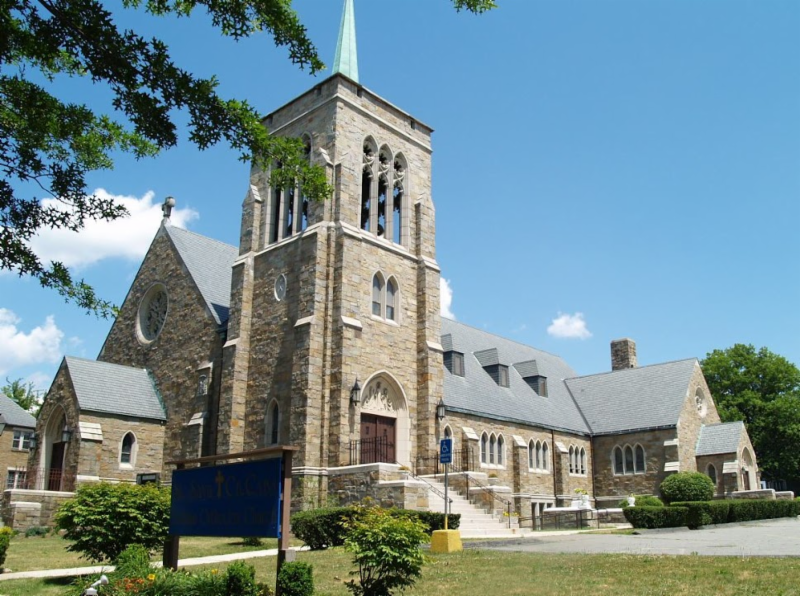 Please join us for Liturgy on Sunday, June 10th , at 9 am. Followed by our luncheon, we will have our Sunday School Year End Recital at noon . Please join is in celebrating our students and youngest parishioners. Congratulations to our students, parents and teachers on another very successful year! In the liturgical services of the feast of Pentecost, the coming of the Holy Spirit is celebrated together with the full revelation of the divine Trinity: Father, Son, and Holy Spirit. The fullness of the Godhead is manifested with the Spirit's coming to man, and the Church hymns celebrate this manifestation as the final act of God's self-disclosure and self-donation to the world of His creation. For this reason Pentecost Sunday is also called Trinity Day in the Orthodox tradition. Often on this day the icon of the Holy Trinity—particularly that of the three angelic figures who appeared to Abraham, the forefather of the Christian faith—is placed in the center of the church. This icon is used with the traditional Pentecostal icon, which shows the tongues of fire hovering over Mary and the Twelve Apostles, the original prototype of the Church, who are themselves sitting in unity surrounding a symbolic image of "cosmos," the world. The Great Vespers of Pentecost evening features three long prayers at which the faithful kneel for the first time since Easter. 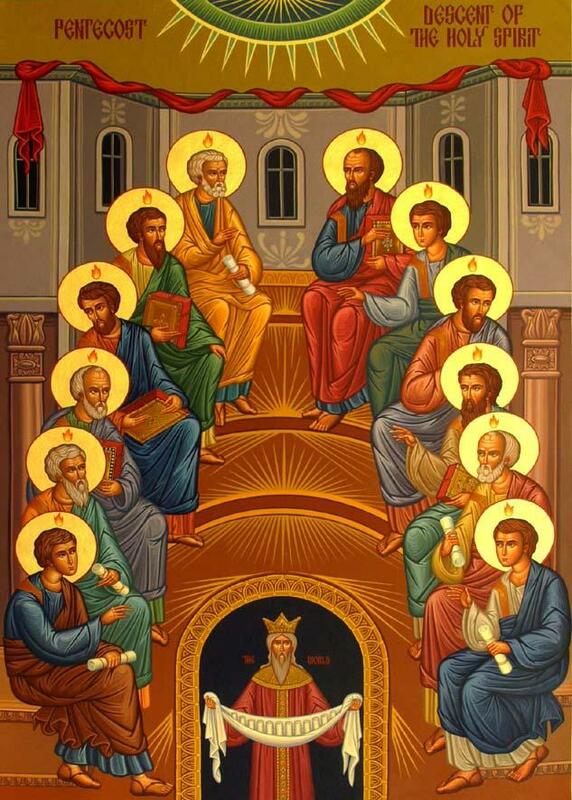 The Monday after Pentecost is the feast of the Holy Spirit in the Orthodox Church, and the Sunday after Pentecost is the feast of All Saints. This is the logical liturgical sequence since the coming of the Holy Spirit is fulfilled in men by their becoming saints, and this is the very purpose of the creation and salvation of the world. Thus says the Lord: Consecrate yourselves therefore, and be holy, for I your God am holy (Lev 11:44-45, 1 Pet 1:15-16).